In the past, simply having a presence on social media was enough for many companies. But social networking sites are changing, and so are buyers. Potential customers want to hear messages tailored specifically for them, and they want to hear those messages from someone they can trust. To maximize the potential of social media, today's marketers have to change their strategies. 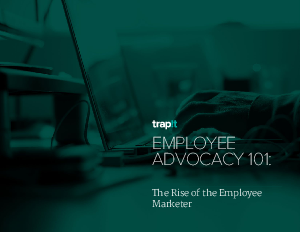 That's where employee advocacy comes in. Download our guide today to start engaging with your buyers and driving sales!